When Mordred announces a three-day weekend for DSA, Wiglaf and his friends (including his Pig Latin-speaking pig, Daisy) are off to Erica's castle. But when they arrive, they discover that Erica's father, King Ken, has come down with a horrible case of liver pox. The wizard Zelnoc manages to cure the king's pox, but as with all the wizard's spells, there's a magical mishap. 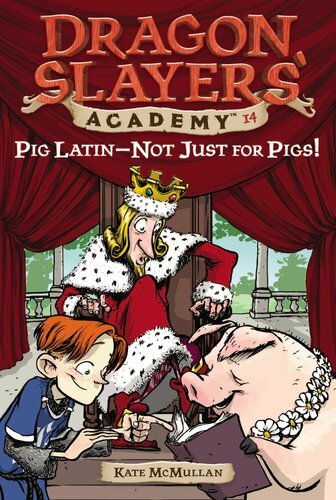 Now, King Ken can only speak in Pig Latin! Can Zelnoc fix his mistake, or is there a better chance that pigs will fly?